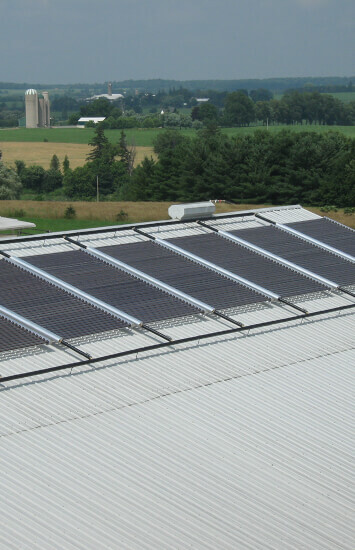 We take the guesswork out of installing solar systems for your home. Saving money. Energy independence. Reducing your environmental impact. Greater reliability. Whatever your reasons for going green with your home’s electricity, OGW can help. We’ll assess your home’s potential for energy generation from solar cells, solar thermal and wind. Plus we can help access government incentives and financing that can turn your dream into a reality. And once we are done with the installation, we’ll be there when you need us. We are a local company, based in Tipp City, so you know you can count on us for fast, reliable service. We’ll help you design the best solar system for your home, then install everything and get it running. We’ll even work with you to get incentives, including working with your electricity provider. Our systems are completely measurable, so you’ll be able to monitor just how much electricity your system is generating today and over time. 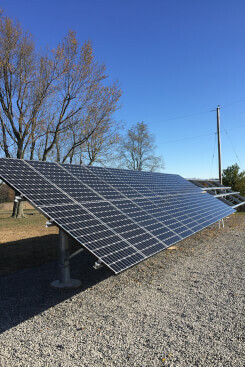 Unobtrusive and easy to maintain, Solar Photovoltaic panels can produce a solid portion of your home’s electricity year-round, saving you a bundle on utility costs while reducing your carbon footprint. Solar Photovoltaic energy offers an immediate payback and long-term savings that add up substantially over time. 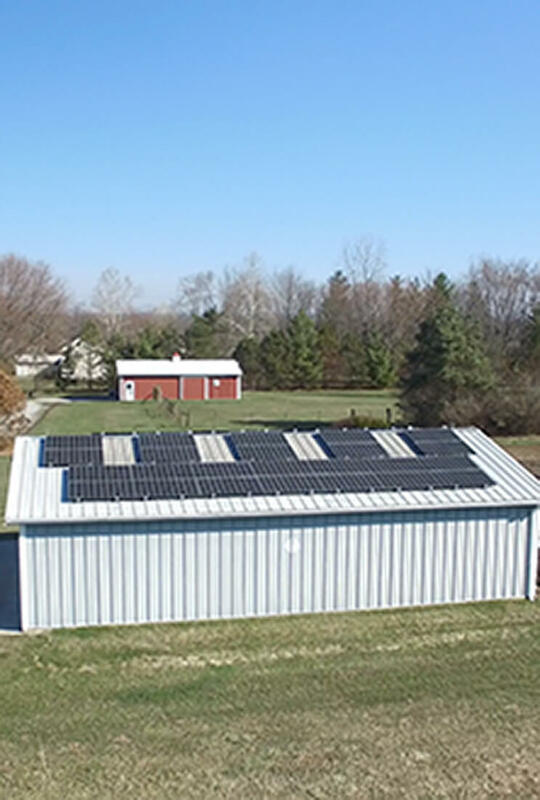 Learn how we’ve helped homeowners across the country save more money by harnessing Solar Photovoltaics, and contact us today to make the switch to lower-cost energy from the sun. FROM DESIGN TO INSTALLATION, WE’LL HANDLE EVERY ASPECT OF THE PROJECT FOR YOU. We start by determining if Solar Photovoltaics makes good sense for your home and your budget. If it does, we’ll design a system that best fits your needs. Our proposal will include everything you need to know to make the most well-informed decisions, from project costs to return on your investment. We even find all tax incentives and rebates in your area. It’s all part of our vision to be advocates for our customers’ energy well-being. WE PROTECT YOUR LONG-TERM INTERESTS BY ALIGNING ONLY WITH PROVEN MANUFACTURERS. Dozens of Solar Photovoltaic manufacturers have made big promises in the past, only to go bankrupt. OGW only uses exceptional first-tier products from manufacturers with a proven record. By working with the best of the best, we alleviate headaches down the road. It’s the right thing to do, and it’s all part of our vision to be advocates for our customers’ energy well-being. Solar thermal is a financially smart and exceptionally cost-effective way to generate hot water—and protect against future spikes in utility prices. With solar thermal technology, the sun’s energy is used to heat water inside special tubes, which connect with your home’s plumbing to distribute hot water throughout you home – and even use it to heat your home. It’s easy to maintain, has no moving parts, and works year-round. It also offers one of the quickest paybacks of any renewable energy application. Cut your utility costs without sacrificing comfort. Contact us today to learn how solar thermal can work for you. FROM DESIGN TO INSTALLATION, WE’LL HANDLE EVERY ASPECT OF THE PROJECT. First, we study your home and site to see if solar thermal makes good sense for you. If it does, we’ll design a system that best fits your needs. Our proposal will include everything you need to know to make the best decisions. We also help yo find tax incentives and rebates to help reduce costs. It’s all part of our vision to be advocates for our customers’ energy well-being. OGW only uses top-rated products from top-rated manufacturers. Why? To make sure that your system is reliable for years and years to come. Violent storms, aging power grids, and rolling blackouts put your health and home at risk. 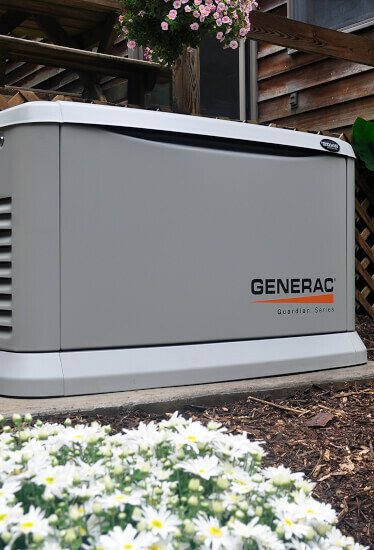 Protect yourself and your property from power outages with a back-up generator. A generator ensures that you have power at your fingertips when you need it. When you need a generator, you need to know for sure that it will work properly. That’s why we only work with the best manufacturers in the industry. You need to know that your back-up generator has your back…we’ll see that it does. Our purpose is to be an advocate for our clients’ energy well-being. We don’t sell products – we offer comprehensive solutions to homeowners looking for smart, financially sound, and reliable ways to cut their utility bills, reduce their carbon footprint, and improve their lives. We have extensive experience in renewable and sustainable energy, which gives us an informed view of the big picture so that you gain a wider range of solutions for your home. Your needs are unique. We get that. We do not take a cookie cutter approach to our energy management plans, nor do we seek to sell a bunch of products cloaked as solutions. Our mission is to provide smart fiscally feasible green solutions that will reduce your energy costs and add value to your home. Period. ENERGY SOLUTIONS TAILORED TO YOUR GOALS. We can conduct a full energy analysis of your home to design a holistic energy management package tailored to your needs. Our proposals always include the hard data you need to make an informed decision, from anticipated costs to long-term payback projections. NOT SURE YOU CAN TACKLE IT ALL AT ONCE? We’ll develop a phased approach that targets your top needs and introduces additional solutions based on time and financing. You have the advantage of a single source provider, meaning we handle everything from design through installation. That means greater energy efficiency without the hassle and headaches of researching products, companies, and contractors. Wind energy systems are environmentally smart and cost-effective, and they can shrink your electric bill and your carbon footprint. NOT SURE IF WIND ENERGY IS RIGHT FOR YOU? 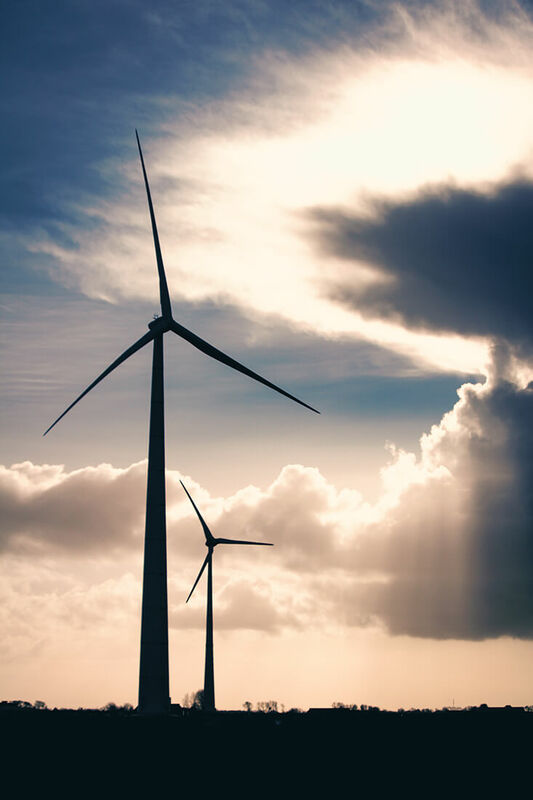 Backed by proven experience working on wind projects of all sizes, our team will do the research to make sure wind is the best solution for you. Our recommendations are backed by solid data about your home. If our research indicates wind isn’t the best solution for you, we’ll help you find options that will cut your utility costs. We’ll even research tax incentives or rebates. It’s all part of our vision to be advocates for our customers’ energy well-being.